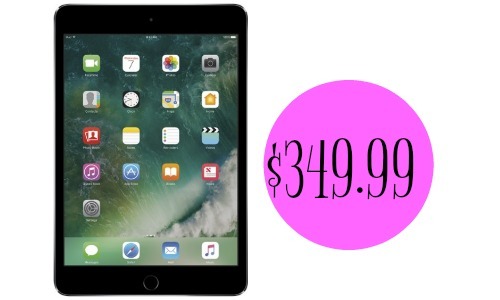 Best Buy is offering the Apple iPad Mini 4 Wi-Fi 128GB (available in silver, gold or space grey) for $349.99 shipped. This is a $50 savings plus you will have a chance to purchase the 2-year AppleCare plan for $99.99. Go ahead and grab it while available at this price if you’re in the market.